Website Design Erie PA | VISIONEFX designed a financial services website to help grow the client base of the Porath Team. VISIONEFX provides website design for financial professionals to include; financial consulting websites and financial planning websites. 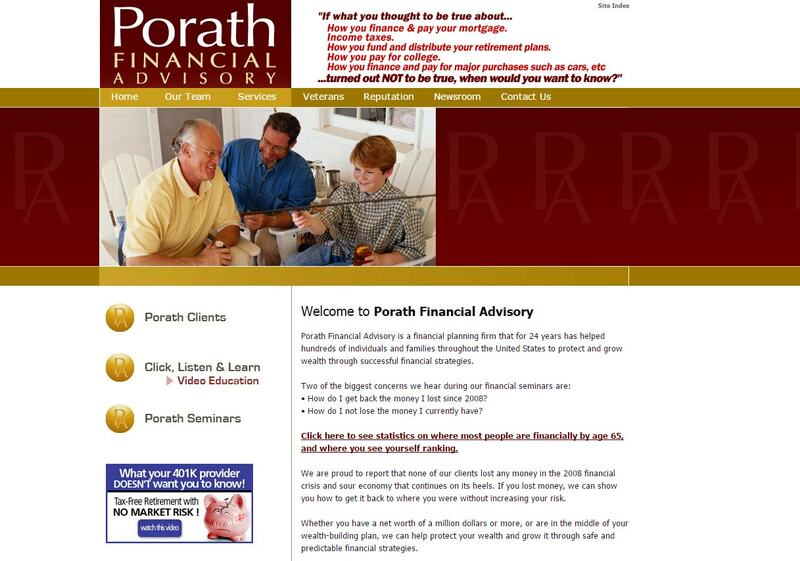 Porath Financial Advisory has offices located in Erie, PA. When searching Website Design Erie PA – Website Designers Erie PA look no further than the web design experts at VISIONEFX. • SEO and web maintenance services. Call: (757) 619-6456 or info@visionefx.net.